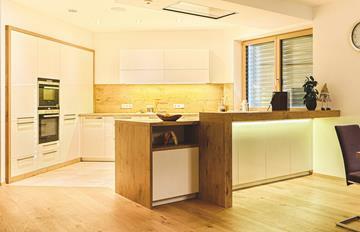 Simple living at it&apos;s finest, smart lighting has the potential to tailor your home to any occasion. 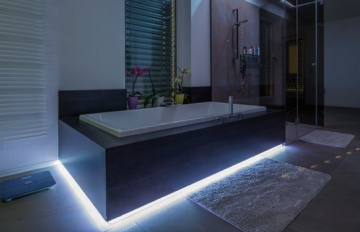 Smart lighting offers the ability to change your homes atmosphere autonomously for you. Deliver the best ambience for any event using unique lighting. 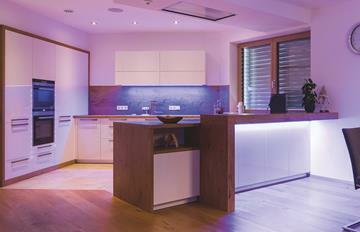 Specialist RGBW lights, allow your home to produce any colour lighting. Discover that smart lighting is easier than standard lighting. Simple living at it&apos;s finest, smart lighting has the potential to tailor your home to any occasion. Let you home take care of you and itself. Soak up a relaxing lifestyle with autonomous lighting that still offers smart control within reach. Using easy access points such as smart switches and multi device apps, you will be the master of your home. Furthermore, each control point is tailored to suit you. Commonly configuring three touches to engage &apos;All Out&apos; mode where every light in your home is turned off. Including features such as two touches only turning the current room&apos;s lights off. As mentioned, you are not only limited to smart switches, enjoy the benefits of an app. Not only will you be able to control lights but also edit the type and colour they display. Each app is custom to make your preferences easier to access so you can master your smart home. Install the discrete motion sensors to remove the need of smart switches and apps. Through using motion sensors, you will enjoy the simplicity of living in your home. Not only will your sensors detect motion but they also measure brightness to decide the perfect lighting you require. Do not forget, smart lighting does not just use sensors, your system carefully calculates the best solutions. Showcase your perfect lighting effects to impress your guests. Discover the endless possibilities with smart lighting. Relying on a harsh audible alarm in the mornings? Why not awaken by introducing light? Each installation and configurations sparks your home into life with unique customisation to suit you. Most people believe the more technology you have in a home, the more energy it will use. Not with smart technology. Each smart home is setup to enhance energy efficiency without compromising on the best home experience. 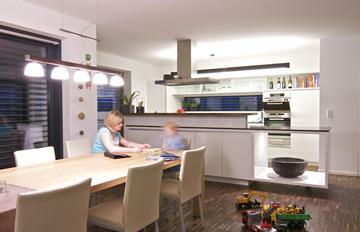 Smart efficiency solutions can be installed throughout your home without changing performance. Want a convenient switch to turn off every electronic device in your home? &apos;All out&apos; switches offer this exact function - stopping you have to check for devices left on standby. Smart sensors are able to enhance your homes efficiency - motion sensors ensure all lights are out in unattended rooms. Combine with other smart systems to offer extra features to enhance your lifestyle. Enjoy music and still know someone is at the door with unique lighting sequences to tell you. Integration with security allows your home to be lit up when triggered. The functional benefits are endless, even supporting the hearing impaired. Utilising visual stimuli linked to specific actions offers a unique solution. The possibilities are endless with smart lighting to support your smart lifestyle. Worried about your smart home whilst away? Use smart deterrents by replicating someone being home from anywhere in the world. Each unique project can include bespoke solutions for any issue.